Maintaining a healthy diet and eating nutritious foods are important in the lives of everyone, especially senior adults. 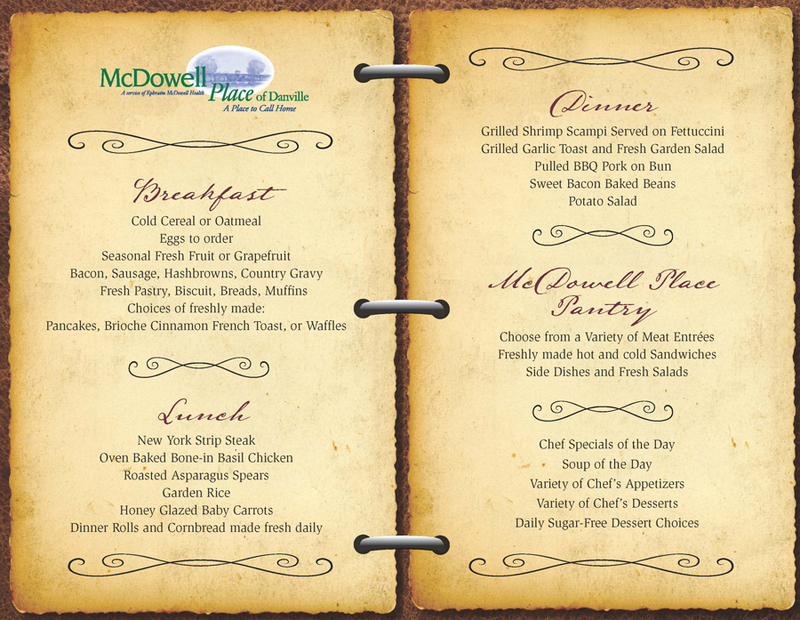 We take extra care to meet these needs among our residents at McDowell Place. 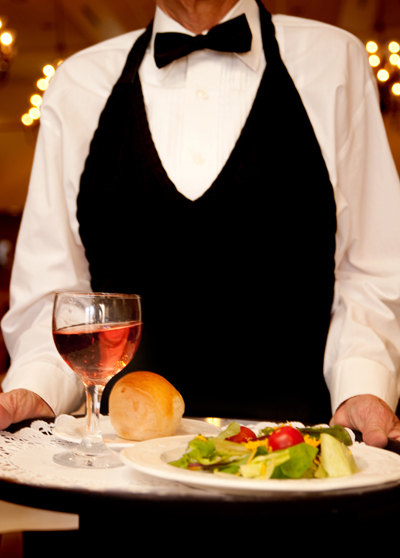 We have an experienced dining services manager who oversees the preparation of all food, which is served fresh daily. All meals, including breakfast, lunch and dinner, are served in our spacious dining room. Each morning, you or your loved one may choose from either a hot breakfast (eggs, sausage, bacon, hash browns, etc.) or a cold breakfast (cereals, pastries, etc.). Lunch offers a choice of soup, appetizer, entrée and dessert from the menu of the day while a lighter dinner is served. For both lunch and dinner, we offer an alternative “pantry menu” that offers items such as hamburgers, grilled chicken, deli sandwiches and salads. We also offer nutritious snacks daily in your own apartment, and fresh fruit is always available. Adjacent to our large dining area is a Bistro, where residents can grab a fresh snack at any time of the day. We invite you to come see what we have to offer and reserve a complimentary meal for you and your family.